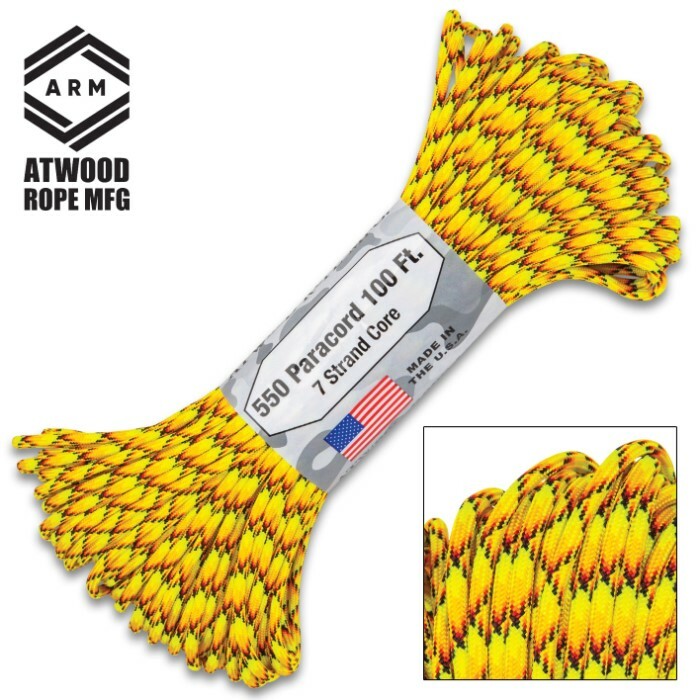 100-Ft Of All-Purpose 550 Paracord - Lightweight, Strong, Versatile, Seven-Strand Core, Rot-Resistant, Made In USA | BUDK.com - Knives & Swords At The Lowest Prices! With a proven track record dating back to WWII, paracord has made a well-deserved name for itself as being one of the best cords ever made and is one of the most versatile cords on the planet. Its high-tech materials and construction enables it to be lightweight, strong, and compact. With an incredible 550-lb tensile strength, paracord can easily perform tasks and jobs that other similar cords cannot. 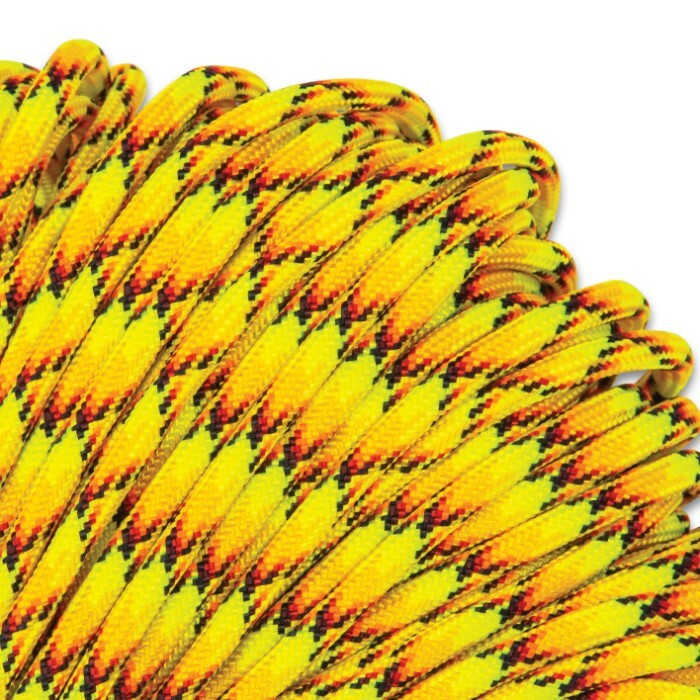 One of the most important design features of paracord is the seven inner strands of core. By pulling out the internal strands, you can turn 50 feet into hundreds of feet of usable cordage. All these features make it the perfect rope to have around, whether it’s in your backpack, vehicle, garage, or bug-out bag. How you need it, where you need it and when you need it!